Muneera Allie: We show deeeeeeeeeeeeeeem!!! 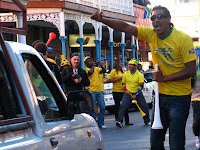 As the world by now knows, South Africa erupted with soccer fever on 11 June and that fever, I’m afraid my friends, is still at an all time high! Man it’s great being South African! 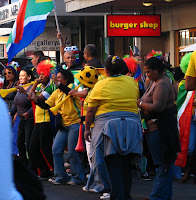 Yellow jerseys, vuvuselas, flags and fans galore!!! Of course it’s what everyone talks about and everywhere you go there’s this amazing, electric vibe that cannot be escaped… so don’t even try. People who were never into the game at all cannot be distinguished from seasoned fans. Today (and hours away) marks a rather important day for our Boys however and yes… win or lose guys (a much debated topic) every South African still has every reason to celebrate!! 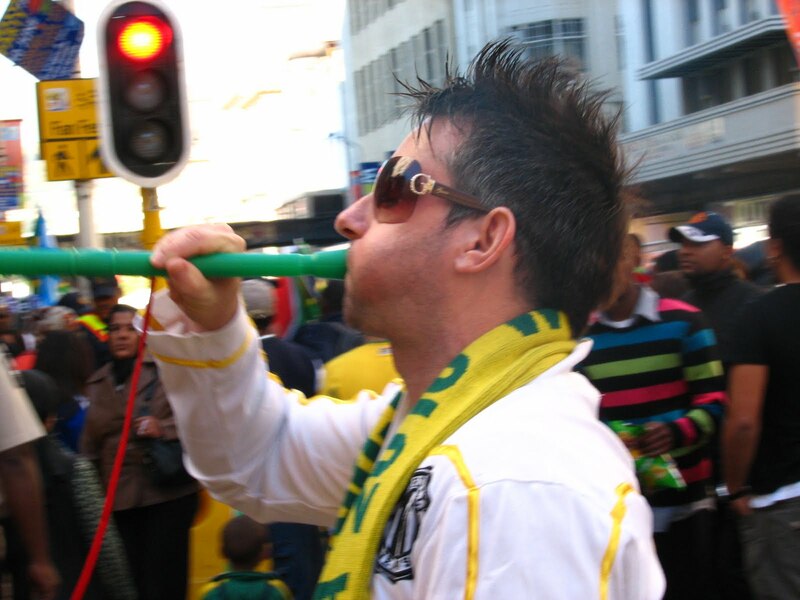 So lets do just that… support our boys with that fervor we know so well and not follow in the footsteps of Pretoria fans (not ayoba guys). And, lastly, to all those critics who had such a lot to say prior to the tournament regarding our readiness and capability… WE SHOW DEEEEEEEEEEEM!! It was one of the greatest experiences of my life, it was a honour to be in Cape Town during this time. and indeed, WE SHOW DEEEEEEEM!! !